Go to the Cheat Input Menu, and type in '2wheelin' to get infinite manual balance. Go to the Cheat Input Menu, and type in 'belikegeoff' to get infinite grind and lip trick balance. 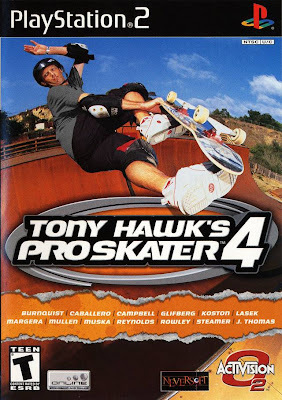 NOTE: The code will only work on PAL versions of Tony Hawk's Pro Skater 4. Enter the options menu, then select ''Cheats''. Enter ''(o)(o)'' to unlock Daisy. Goto Options then Cheat Codes. Then enter ''homielist''. Without quotes. IF you keep doing this stunt over and over in midair, you will fly up and up and up, and you can pull infinite tricks! Just make sure you do the special trick occasionaly to keep you airborne. NOTE: Don't do more than 249 stunts in a row, or it will freeze up, so stop at (score) x 249. Matrix mode MUST be on.